When Virginia seceded, he resigned from the U.S. Army, April 8, 1861. He joined the Confederacy and was commissioned by President Jefferson Davis captain in the regular army of the Confederate States. As Assistant Adjutant General to General Earl Van Dorn. In March 1862, he was promoted to Major and assigned as Assistant Adjutant General to General Robert E. Lee. Later, as Lt. Colonel, CSA, "he was erecting in San Antonio an extensive tanning factory to manufacture supplies for the Confederate Army" March 1863 to Dec. 1863. 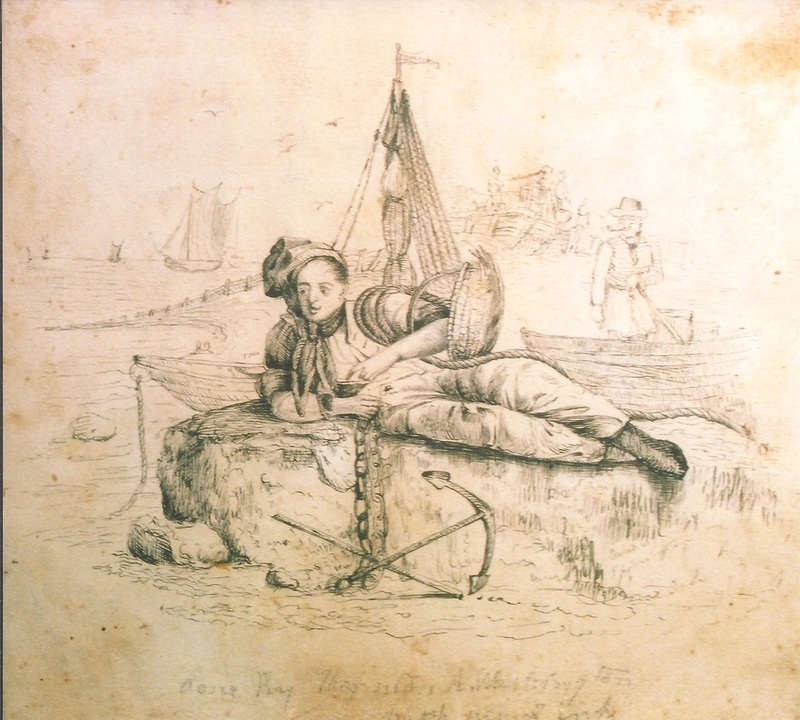 He was detached from service to the Trans-Mississippi Department, where he operated in a wholly independent capacity, but where he had comparatively little opportunity too display his exceptional military abilities. At the close of the war he he made his home in Texas. He was a civil engineer and followed that profession for many years. 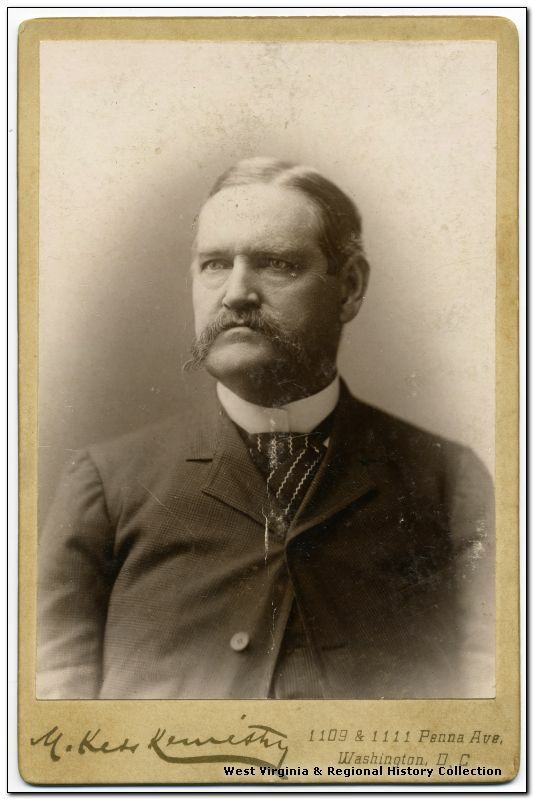 In 1891 he was employed as examiner of he returns of he public surveys in the U. S. General Land Office, Department of the Interior, Washington, D. C. In 1891 he wrote and published a valuable Genealogical History of his branch of the Washington family. [i], [ii] He died July 10, 1894. Pen and ink drawing by Thornton Augustin Washington presented to the family of his sister Mildred Berry Washington Bedinger (116), and quite possibly especially to his young niece and budding artist, Henrietta Gray (Netta) Bedinger (199). The original is now in the Griffith Family Homeplace Museum, Terrell, Texas. "Overshadowed by a great name, he was bebarred from showing the grand qualities he possessed. They were hid from himself in his great modesty, and known to the few, whom he favored with his friendship and intimacy. this fact that he was persuaded to devote his intelligence and abilities to the service of the Government... His accomplishments in art and music were the delight of his friends, when he could be prevailed upon to show them." [i] Washington, Thornton Augustin, 1891, A Genealogical History of the Washington Family in America, Press of McGill & Wallace, Washington, D. C., 71 p.
[ii] Glenn Justin, 2014, The Washingtons, A Family History: Seven Generations of the Presidential Branch, vol. 1, Savas Beatie LLC, El Dorado Hills, CA, 671 p., pp. 402-403.